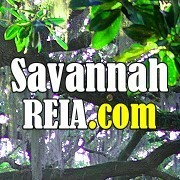 Savannah REIA Members can Watch Our Webcast Replays 24/7 here on our Webcast Replays Page after logging into the Members Only section of our website. Some of these Webcasts Replays are available to non-members as well and do not require you to login to watch. The Atlanta REIA Onsite Renovation Group, which is all about about finding, funding, fixing and flipping houses for big profits and is hosted by Dustin Griffin & Don DeRosa, met on on August 21, 2018 held at 2744 Greenvalley Rd in Snellville, GA, a newly completed rehab managed by Christine Griffin. Please join us on Tuesday, August 7th at NOON for the Atlanta REIA Onsite Renovation Group (ORG) to learn all about finding, funding, fixing and flipping houses for big profits. This month’s Onsite meeting will be held at 52 Adair Ave SE in Atlanta, GA with Demond Smith and Michael Rochester of RocDem Solutions. Please join us on Tuesday, July 17th at NOON for the Atlanta REIA Onsite Renovation Group (ORG) to learn all about finding, funding, fixing and flipping houses for big profits. This month’s Onsite meeting will be held at 4165 Dunnington Dr in Marietta, GA with Amy Ransdell. Please join us on Tuesday, July 3rd at NOON for the Atlanta REIA Onsite Renovation Group (ORG) to learn all about finding, funding, fixing and flipping houses for big profits. This month’s Onsite meeting will be held at 3773 Lamar Way in Snellville, GA. Please join us on Tuesday, July 3rd at NOON for the Atlanta REIA Onsite Renovation Group (ORG) to learn all about finding, funding, fixing and flipping houses for big profits. This month, after the Onsite Renovation Group ended, we did a BONUS SESSION at a nearby rehab that is currently in progress at 2744 Greenvalley Rd in Snellville, GA.
Watch the Replay of the Beginning Investors Group Online (BIGO) we recorded live on June 26, 2018 with Dwan Twyford on "5 Secrets the Banks Don't Want You to Know!" Please join us on Tuesday, June 19th at NOON for the Atlanta REIA Onsite Renovation Group (ORG) to learn all about finding, funding, fixing and flipping houses for big profits. This month’s Onsite meeting will be held at Teresa Willis’s renovation project located at 286 Lancelot Way, Lawrenceville, GA.
BIG Replay: Your Market is Crashing! Are You Ready? Join us at the Beginning Investors Group (BIG) on Monday, June 18th at 6:30PM at the Hudson Grille in Sandy Springs located at 6317 Roswell Rd in Sandy Springs where our special guest speaker will be Bill Twyford, the Real Estate Rockstar! Bill will be talking about the next big real estate market crash and how you can be ready! Watch the Replay of the Beginning Investors Group Online (BIGO) we recorded live on May 22, 2018 with Duncan Wierman on the Vacation Rental Business and how you can double your monthly rental income without tenants! Join us at the Beginning Investors Group (BIG) on Monday, May 21st at 6:30PM at the Hudson Grille in Sandy Springs located at 6317 Roswell Rd in Sandy Springs where our special guest speaker will be Mike Cherwenka, the “Godfather of Wholesaling” of Goldmine Properties. Mike be sharing his story, his step-by-step guide to achieving real estate success, how to get started, his insider trade secrets and real life sample deals. Please join us on Tuesday, May 15th at NOON for the Atlanta REIA Onsite Renovation Group (ORG), hosted by Don DeRosa and Dustin Griffin, to learn all about finding, funding, fixing and flipping houses for big profits. This month’s Onsite meeting will be held at Andy Block’s 1st rehab located at 859 Custer St, Hapeville, GA. We visited this house back in December and you can Watch the Onsite Video Replay here to see what it looked like then. On May 1st at NOON, the Onsite Renovation Group will be meeting a new rehab project located at 2744 Greenvalley Rd in Snellville, GA. This is a 1,646 sq ft, 3 bedroom, 2 bath home built in 1972. It is an ugly, run down house that needs lots of updating. At the meeting, you can see the progress that has been made to the house so far as well as the designs for the new rehab. In addition to updating the house throughout, several walls are being torn down or relocated to open the floor plan and expand the existing bedrooms and baths. Come see this house now (before) and in a few months (after) and see how the house will be transformed into a gorgeous, modern day home! Watch the Replay of the Beginning Investors Group Online (BIGO) we recorded live on April 24, 2018 with Roger Blankenship, the Flipping America Guy, on "Knowing Your Numbers Before You Buy!" This month’s Atlanta REIA Onsite Renovation Group (ORG), hosted by Don DeRosa and Dustin Griffin, was be held on Tuesday, April 17, 2018 at a property managed by William Hart, of Networth Realty, located at 2724 Tupelo Street SE in Atlanta, GA. As a BONUS, we visited a 2nd property managed by Manesh Hardeo, of Networth Realty, located in Kirkwood at 1571 Woodbine Ave SE, Atlanta, GA.
Join us at the Beginning Investors Group (BIG) on Monday, April 16th at 6:30PM at the Hudson Grille in Sandy Springs located at 6317 Roswell Rd in Sandy Springs, GA with our special guest speaker, Manesh Hardeo of NetWorth Realty, a licensed, full-service residential wholesale brokerage that specializes in finding quality wholesale properties and making them available to you. At BIG, Manesh is going to discuss “Dealing with Wholesalers” when buying or selling from his unique perspective. BIGO Replay: Learn About the HOTTEST LEADS in Today’s Market & How Your Could Be Getting Them! Watch the Replay of the Beginning Investors Group Online (BIGO) we recorded live on March 28, 2018 with Tangie Cousins on "Learn About the HOTTEST LEADS in Today’s Market & How Your Could Be Getting Them!" This month’s Atlanta REIA Onsite Renovation Group (ORG), hosted by Don DeRosa and Dustin Griffin, was be held on Tuesday, March 20, 2018 at 1315 Old Johnson Ferry Rd NE in Brookhaven, GA with Rick Smith who is doing his first rehab. Renovations are about 85% complete on this 4 bedroom, 3 bath home in Brookhaven. This house was built in the late 60’s and was all original before Rick Smith bought the home and put over $109,000 of renovations into the property. Renovations include an open concept, new windows, doors, kitchen, baths and a whole lot more. Comps in the area sell in the high $595’s to the low $600’s. Part 1 of the Beginning Investors Group recorded live on March 19, 2018 was “Auction 101” with Sherrie Aldrich of Auction.com and Part 2 was all about “Buying Houses for Pennies on the Dollar at Tax Sales” with Tom DiAgostino.